The Possible is a definite step up from Altebrando's debut, The Leaving: more thrill, more intrigue, stronger writing and characters. It's the summer of the young adult thriller, people. Altebrando mixes journalism, podcasts, prison, and the paranormal into one twisty beach read that's delightfully devourable in a single sitting. Kaylee is the perfect MC for a plot-driven book. She's what you'd call "unlikable." I always love the unlikable ones. She's brash, selfish, immature, and she lives in her head. And she's incredibly relatable. 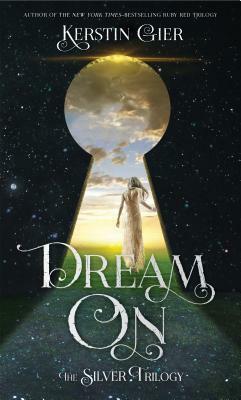 What teen (or adult-as-former-teen) hasn't built up a relative stranger into an elaborate romance fantasy in their head? Who hasn't been self-absorbed and clueless? The plot wouldn't skip ahead so frenetically without Kaylee's recklessness, and it gives her plenty of room to learn and grow. So maybe she'll annoy you, but stick with her a minute. Her friends are a little weaker, mostly because they're absent a lot. Aiden is the strongest. He's the snarky, nerdy guy who's also refreshingly comfortable with himself, and he calls Kaylee on her crap. Although his total condescencion towards the paranormal annoyed me. Chiara really got shafted, because not only is she the only major POC in a very white book, but her literary sensibilities could have been used to much greater effect. For a best friend, she wasn't around a lot. The adults were all fleshed out enough to play their roles, although as a crime junkie I'd have loved more insight into Crystal's twisted head. The real winner here is the plot. There are some definite over-the-top moments (HIGHLIGHT FOR SPOILER: um, no prison is going to let some teenagers rig up a mechanical spectacle to teach an inmate a lesson; when I go to the jail, I can't even bring my freaking cell phone in), not gonna lie. You have to suspend disbelief. I mean, no one remembers anything that vivid from age 3. On the other hand, Altebrando knows how to keep you guessing. I raced through this on a plane ride and later into the night than I should have, because I damn well needed to know who was pulling the strings and whether all these potentially paranormal happenings were real or just in Kaylee's head. You don't find out until the end and it's kept ambiguous throughout, so the tension stays high. Overall, The Possible is excellent if you're looking for a twisty crime thriller with low investment and a fast plot. It's not exactly Gillian Flynn or Stephanie Kuehn, but it's carved out a space in young adult thriller world. It's a quick candy read, and it does it well. I loved how it dealt with popular concepts like true crime podcasts (think Serial) and the downside of internet fame while sticking with old-school head games ala Hitchcock. I won't be gushing about it for years, but I had a whole lot of fun reading it. 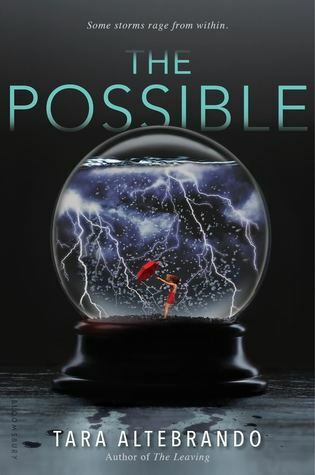 The Possible is a fast-paced, twisty teen thriller that makes for a fabulous summer read.